Posted by Stuart Herbert on April 15th, 2009 in Bute Docks, Cardiff, Merthyr Road, Modern, Photos, Shoot. This one has been up on Flickr for several months now, but somehow I forgot to actually write a blog post about it to match! Cardiff Bay has been (almost) completely transformed from abandoned dockyards into the playground of the wealthy in South Wales. 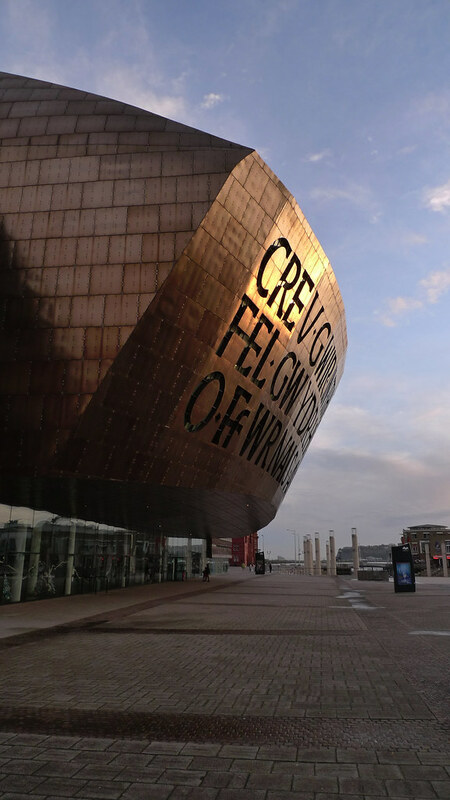 At the very centre of this new role proudly stands the Millennium Centre, a world-class arts venue for Europe’s youngest capital city. And, when the sun strikes it at the right angle, it positively radiates. There are good reasons why just about all the best photos of the Millennium Centre tend to be from this angle. Known locally as the Coal Scuttle because of its distinctive shape and colour, the Millennium Centre is a surprisingly difficult subject to photograph. If you think of its rivals around the world – most notably the Sidney Opera House – they are iconic buildings standing proud and prominent, an absolute delight to photograph and very difficult to photograph badly. Sadly, like Cardiff City Centre after it, Cardiff Bay hasn’t been so much designed as a whole as had individual efforts constructed next to each other. This has left the Coal Scuttle with mostly obscured lines, and as a photographer I’m left with the impression of a fat cartoon character trying to hide behind skinnier friends. I think this is a real shame. This is truly a great venue, with a real will to put on a world-class programme of arts to match. 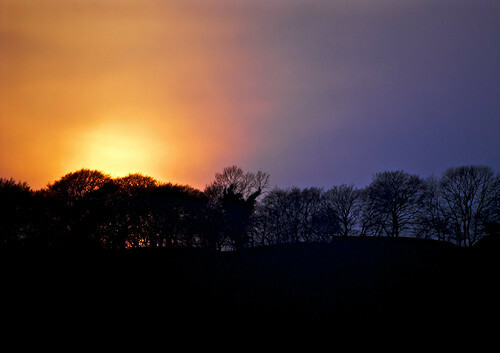 Posted by Stuart Herbert on April 15th, 2009 in Merthyr Road, Modern, Photos, Pontypridd, Shoot.